This weeks little blocks for the quirky little quilt sew along is birds in the air. 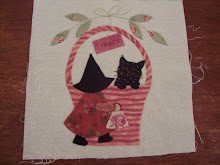 As there is only 1 more week of blocks I'd better find some background fabric in my stash. Yesterday i joined in with 17 lovely ladies for Friday Night with Friends. Thankyou Cheryll for hosting us. Pop over here to find links to what projects were worked on. The inside. Now to find a notepad to put into it. Next i cut out 7 ironed on all the felt pieces to these cute little stocking ornaments. I'd started sewing down the felt on these on these little hangings Thursday night. 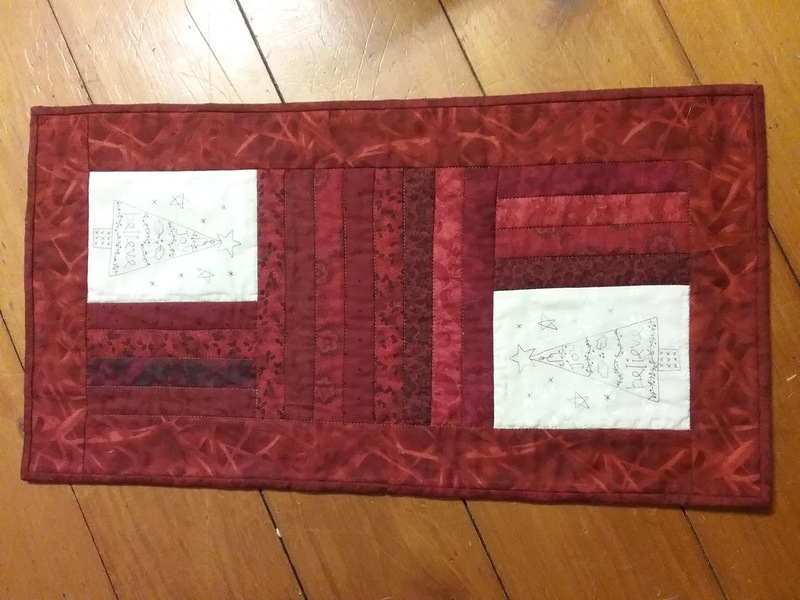 This one needed to holly & berries stitched. This one the red pieces & the holly & berries. And this one needed all of it to be stitched. Thankyou again Cheryll for being our lovely hostess. The hexagons are more green than the photo is showing. 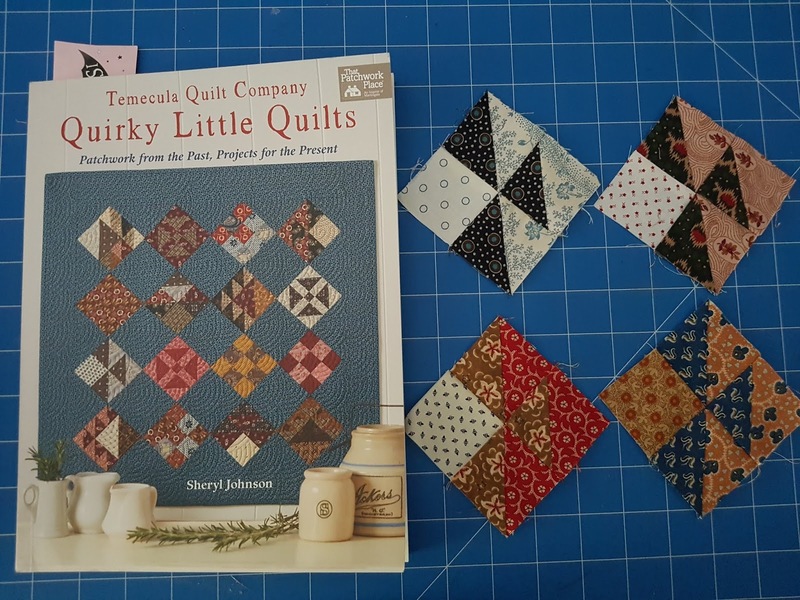 This morning on the Martingale page on Instagram i saw that the next blocks for the quirky quilt had been posted. This week it is 9 patches. Fun little blocks to make. 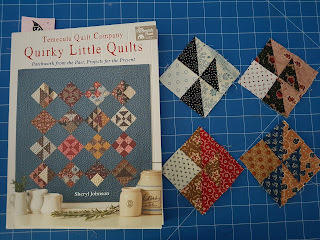 Temecula Quilt Company is having a quilt along making a quirky little quilt & i've joined in. 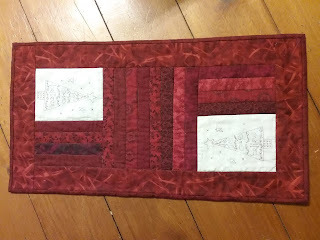 The first blocks chosen for the quilt were the Shoofly blocks. 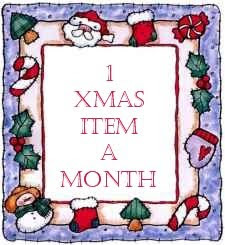 After sewing these i got out some little Christmas decoration kits i bought last year & prepped them ready to sew.